The Guitar Footstool seeks to solve the age-old problem of performing classical guitar while standing. Set the footstool's height to one of three fixed height positions, place your foot on the non-slip rubber pad, and you're ready for your performance. 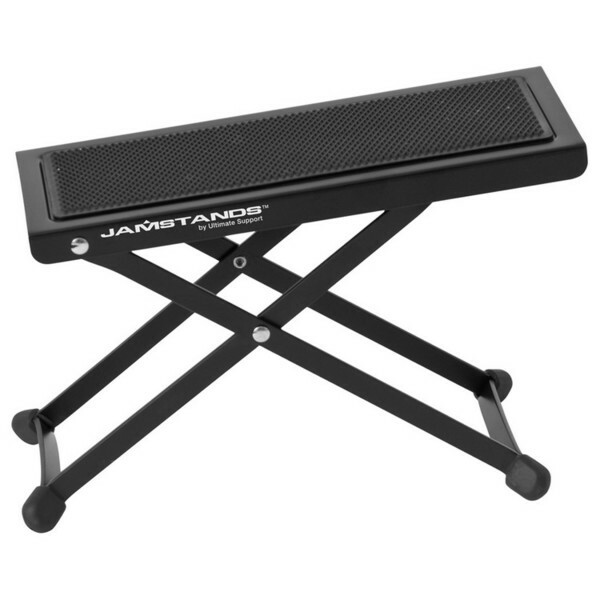 When the gig is done, the Guitar Footstool folds flat for convenient transportation and storage.